Broccoli and cauliflower are great vegetables to eat as a side dish while on a ketogenic diet. We are always on the prowl looking for some new way to spice them up. You can only eat steamed so many times before you get bored! This dish is relatively easy to make and has a wonderful hint of dijon that blends so well with the parmesan cheese. Preheat your oven to 350 degrees. Start off by steaming the broccoli and cauliflower for 6 to 8 minutes. They should remain crisp but tender. Drain the vegetables and season with Morton Salt Lite Salt and pepper. Grease a 9″x13″ baking dish and place all the steamed florets into it. In a separate bowl mix the mayonnaise, cheddar cheese, 3 oz parmesan cheese, green onions, dijon mustard and cayenne pepper. 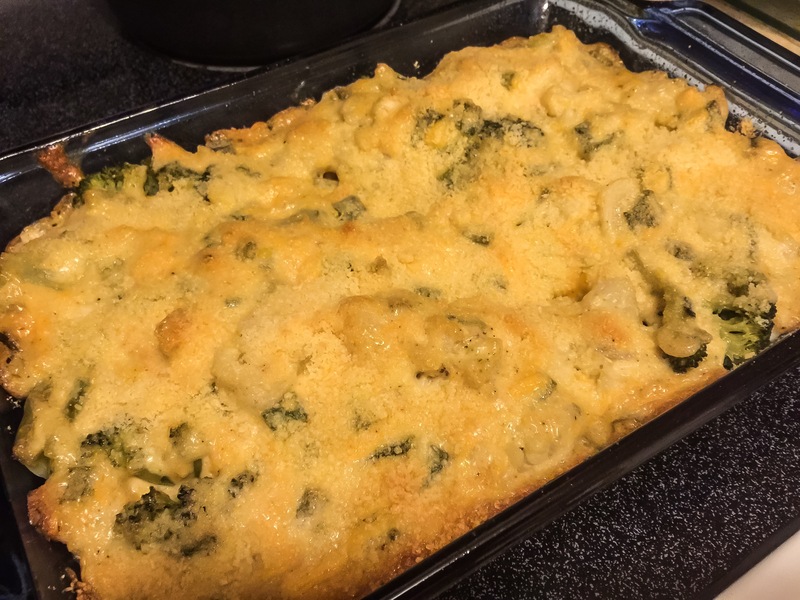 Spoon this mixture over the broccoli and cauliflower in the baking pan and spread it out as evenly as possible. Finally sprinkle the 1 oz portion of parmesan cheese over the top. Bake for 20-25 minutes or until the topping has turned a golden brown. Keto dieters are always on a quest for a “substitute” for their favorite foods. 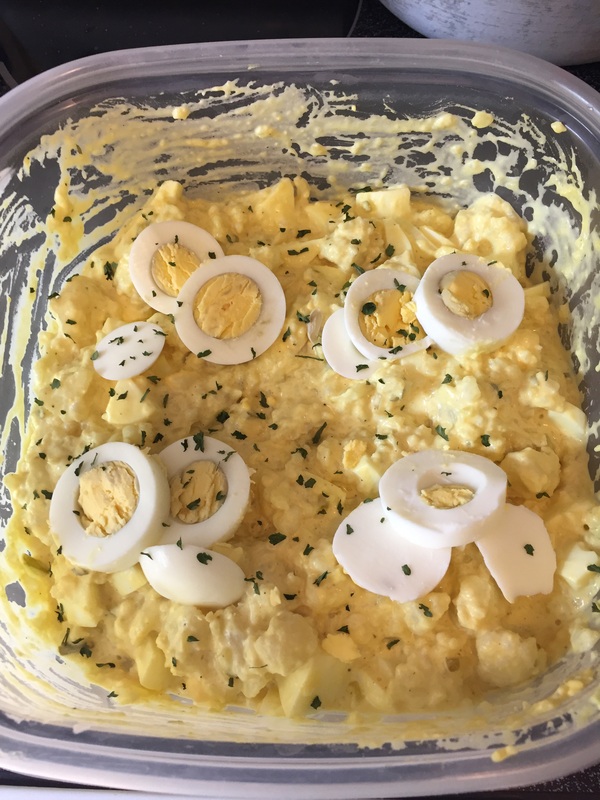 Summer is fast approaching and in this case we wanted something that would fill the role of potato salad at our summer cookouts. 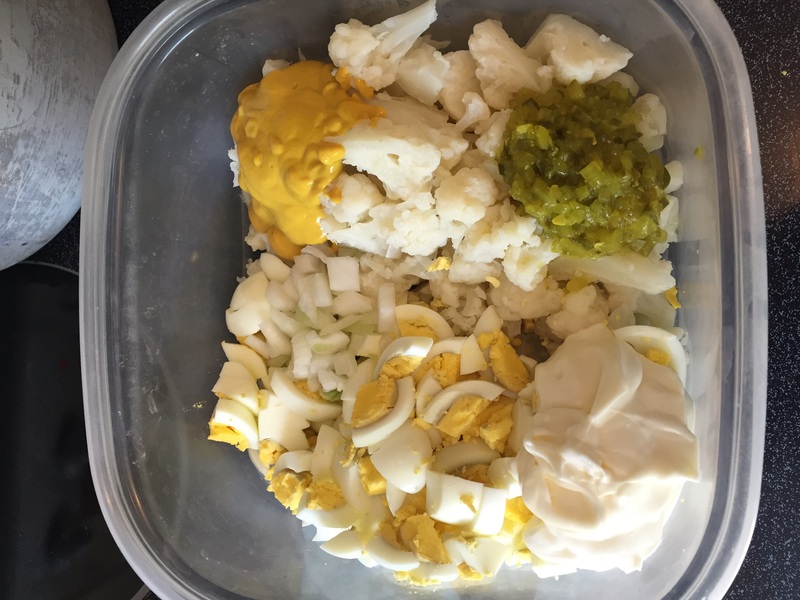 That’s when we came up with this amazing Cauliflower (No Potato) Salad! 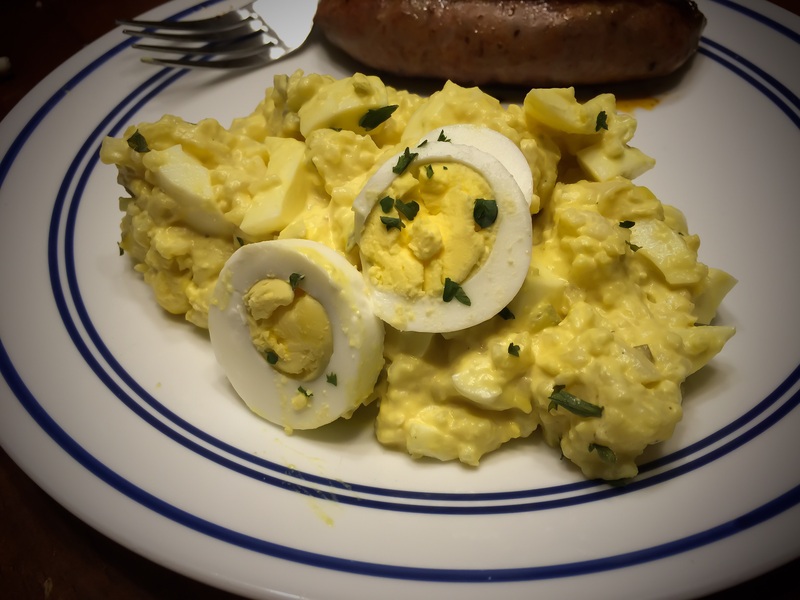 It has all the flavor and almost the same mouth feel as real potato salad! Check it out! Bring a large pot of water to a boil on the stove. While that’s heating break the cauliflower florets into bite sized pieces. Once your water is boiled add your cauliflower to the pot and cook until they’re tender. If you have a food steamer or another method you prefer you can prepare the cauliflower that way. It just has to be cooked tender. Assuming you already know how to hard boil an egg and you’ve cooked the six eggs break them open and separate the yolks into a small bowl and mash them up. (If you don’t here is How to Cook a Hard-boiled Egg.) Take the egg whites and break or slice them down into small bite sized pieces. After that it’s as easy as mixing all the ingredients together in a large bowl! This salad tastes best when it is allowed to chill overnight in the refrigerator. Enjoy! First you will want to brown the sausage with the celery, onion and mushrooms. Stir the softened cream cheese into the sausage mixture until well blended. Coarsely chop the cooked cauliflower. 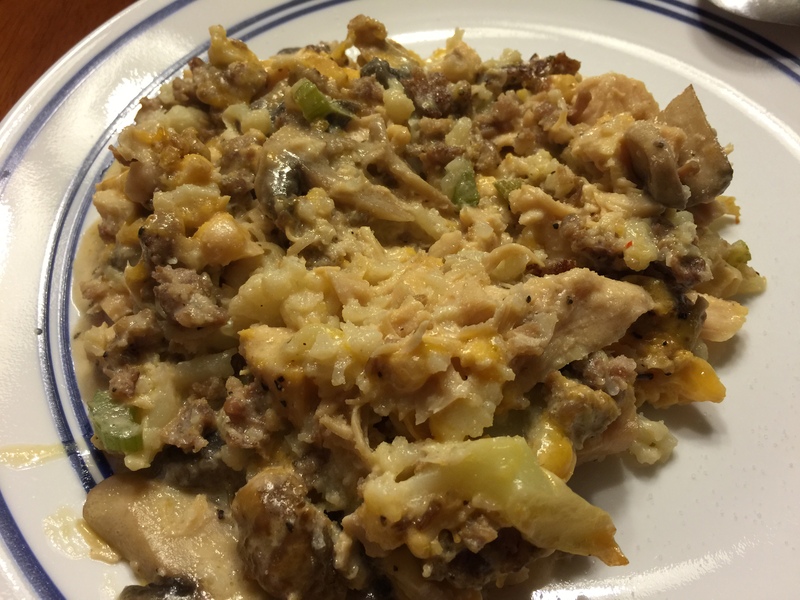 Mix all of the ingredients and spread in a greased 9×13″ baking dish. If desired, dust the top with paprika. Bake at 350º for about 40 minutes until the top is nicely browned. This will make 6-12 servings and can be easily frozen. Enjoy!